We are specialists in short adventures, for the adventurous! With a psychedelic pop soundtrack playing in our heads, my wife and I board the train to Marrakech in Casablanca. and “striped djellebas we can wear?” Graham Nash penned the tune after a 1966 visit to Morocco and taking the train from Casablanca to Marrakech to party. He bought a first-class ticket, but gravitated to third-class because it had a more interesting cast of characters, from those on the hippie trail experimenting with mind-altering drugs to North Africans traveling with their chickens and cooking on make-shift stoves. My wife and I remained ensconced in first-class. Air Canada has made experiencing Casablanca, Morocco’s business hub and largest city, and catching the Marrakech Express, so much easier with new, non-stop, seven-hour, year-round flights between Montreal and Casablanca. We won’t indulge in any psychedelic substances while in Marrakech, but we will discover why it’s the exotic, bucket-list hotspot for an international torrent of tourists from backpacking university students and hipsters to well-heeled families and baby boomers. 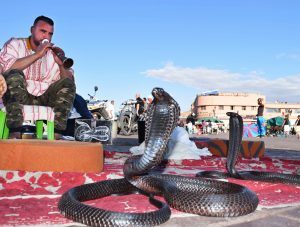 As Nash recounted, there are still snake charmers in the square, the square being the famous Jemma-el-Fna. The massive space is also home to monkeys in diapers, an endless array of food stalls, criss-crossing motorcycles, stray cats and aggressive vendors selling everything from pointed slippers to djellebas, the simple Arabic robe worn by both men and women . It’s a cacophany of sights, sounds and smells that both scares and enchants us and will bring us back time and again to Jemma-el-Fna. The rest of our stay in Marrakech will be more tranquil and befitting of the baby boomers we are. The Red City, so called for the earthy ochre colour of most of the low-slung buildings, is well-known for the 500 small riad hotels in the walled Medina of the Old City. Riad is traditionally a grand house with a courtyard. When converted to a hotel the results are spectacular. We stayed at Marrakech’s first, and best, riad hotel, the one that started the trend 20 years ago, La Maison Arabe. 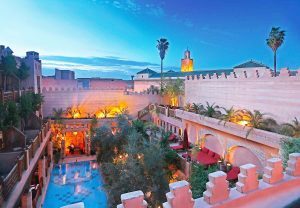 Owned by Prince Fabrizio Ruspoli of Italy, La Maison Arabe is actually six side-by-side riads with stables transformed into a luxury, boutique hotel with 26 rooms and suites. The result is a network of accommodations, hallways, stairs, courtyards, cozy piano bar, spectacular pool surrounded by a restaurant and even a cooking school and country club annex just out of town with pool, gardens and patio restaurant. We’re upgraded to the Royal Suite, a three-level townhouse with main floor living room, second floor bedroom and rooftop terrace. We hide away in the luxury as much as possible, but there’s more of Marrakech and Morocco to see. 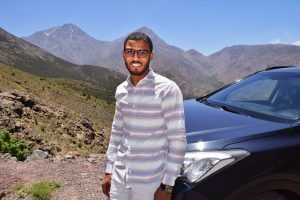 A day-trip with guide-and-driver Youssef Aitmizan of Oubihi Trans, arranged through La Maison Arabe, to the nearby Atlas Mountains is breathtaking. In the Berber village of Imlil, everyone seems to be riding a donkey, which is known as the Berber 4×4. Indeed, these beasts of burden can be mounted to ascend the steep and rocky trail to Kasbah du Toubkal, the mountaintop hotel with National Geographic Unique Lodges of the World designation. 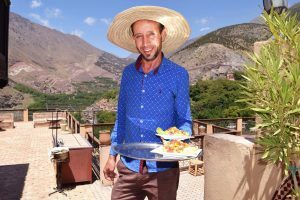 Instead, we hike the 15 minutes with guide Hussein to have a lunch of traditional Moroccan lamb tangine stew on Kasbah’s rooftop. We’re awed to be on top of the world. Back at La Maison Arabe we’ll learn how to make our own tangine, this time with chicken, at the riad’s cooking school, the first and most sought after in all of Marrakech. 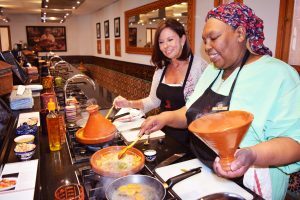 Chef Ayada shows us how the dish, cooked in a clay tangine pot, is all about her secret mix of 27 North African spices. We feast on the results in the cooking school’s sun-dappled courtyard, declaring ourselves talented chefs, while sipping a glass of Moroccan Domaine de Sahari rose wine and listening to live santer guitar. 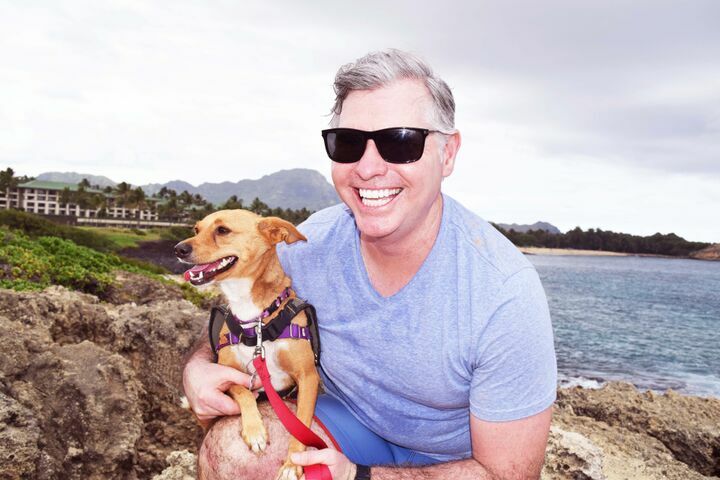 Travel writer Steve MacNaull has the best of both worlds. He lives, works and plays in the beautiful Okanagan Valley in British Columbia, Canada, a tourist destination in its own right. Plus, he wanders the world experiencing the latest and greatest producing stories for QuickTripTo.com and syndication in newspapers and magazines across Canada. Allbirds – is the hype really true? Ryan Biddulph commented on Floating fun central – Houseboats are the way to go! Copyright ©2017 QuickTripTo™. All Rights Reserved.